Cheryl Ferraro Baker was the only daughter with three brothers in a family that understood the art of giving. Growing up, she saw her mother work with the Assistance League, serve in major political campaigns, and be very involved in the community. It was Cheryl’s mother who was the inspiration for her philanthropic efforts. As a graduate of USC, she earned her degree in Education and became a Kindergarten teacher. She has always had a soft-spot for children and teaching. As she said: “Maybe that’s why I became involved later on in activities and causes that help children.” Her grandchildren can attest to her love of young people. Cheryl’s teaching career was put on hold after she married Bob Baker and began raising a family in the Hancock Park home near St. Brendan’s Catholic Church for the last 43 years. Their three sons, Phillip, Michael and David graduated from Loyola High School and all went onto college. Phillip went to Georgetown in Washington, D.C., Michael and David attended Boston College in Boston, Massachusetts. While at Loyola High School, Cheryl was involved with the St. Ignatius Guild. She was a member of the Loyola High School Board of Regents and now serves as Regent Emeritus to that institution. •	Las Madrinas: which supports building and research projects to improve the care of children. •	Children’s Chain: a women’s group dedicated to raising funds for the hospital. •	She is also a member of The Diadames of the Child Care League which contributes to the scholarship fund of The Mirman School for Gifted Children. Within the Archdiocese of Los Angeles, Cheryl has served on the Development Committee work for the Cathedral of Our Lady of Angeles, as well as the Cardinal’s Awards Dinner Committee. She was invited and inspired to participate in the Archdiocese by the late Sister Mary Jean Meir. 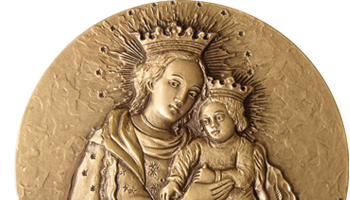 Because of her service, as well as her profound faith, she has earned her honors as a Dame of Malta and Dame Commander of the Order of St. Gregory. Cheryl has also supported other groups. 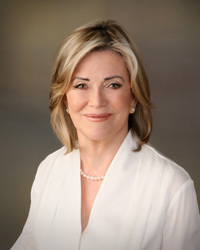 In the past she was a member of USC’s Town and Gown, Junior League of Los Angeles, Ann Banning Auxiliary of the Assistant League of Southern California, the Blue Ribbon of the Music Center, The Muses of the California Science Center, St. Vincent Meals on Wheels, and is now involved with the Council of the Library Foundation of Los Angeles. Her husband, a successful lawyer, has supported her activities, while maintaining a law practice. He has been a Professor at Loyola Law School, President of that school’s Board of Overseers, and a member of the Board of Trustees at Loyola Marymount University. Cheryl admits: “We’ve done a lot of fundraising, but you need to help those less fortunate. That’s something I learned from my parents, and its what we’ve tried to teach our sons through example. Their sons have become active in supporting their church and communities, and hopefully setting an example, in the process, for Cheryl and Bob’s eight grandchildren to do likewise. When she has time, Cheryl enjoys, bridge, gardening and needlepoint. Her first loves are family, faith and lending a hand whenever she can, and not worrying about how much time it will take, or whether she has the right qualifications. “I don’t think I’ve ever said no or doubted whether to join something. I look back and think – well, I guess I’ve had a lot of different roles, but you know, everything I did seemed like it was the right thing to do, and it was always about making someone’s life better. It comes from a sense of duty. If someone asks you for help for a worthwhile cause, how can you say no?